In this weeks’ video blog, we’d like to talk to you about why limited companies are still incredibly valuable in terms of tax savings. You might have heard about the dividend changes recently which means that the difference in tax between what a sole trader might pay and what a limited company might pay has closed a bit. However, a limited company is still valuable as you can control how much money you take out of the company. Whereas with a sole trader, if you make a profit, all of that profit gets assessed and tax is payable on the whole amount. For example, let’s say you start paying the higher rate of tax at £43,000, when you are a sole trader you make £60,000 profit then the first £43,000 will either be tax free or will be at your basic rate. Then anything after that £43,000 up to that £60,000 will be charged at a higher rate of tax. So, if you are a sole trader, you pay tax at 40% plus your 2% national insurance on that which is quite a lot. If you are a limited company and you don’t need all of the profits that your company has made, then you don’t have to take out the full £60,000 profit, you could just take out 42,000 and leave £18,000 in the company and then later on down the line, if you’re retiring, having a slow year or just taking it easy, you’ve got money left over in the company account which you can take out at that point without having to pay the higher rate tax. 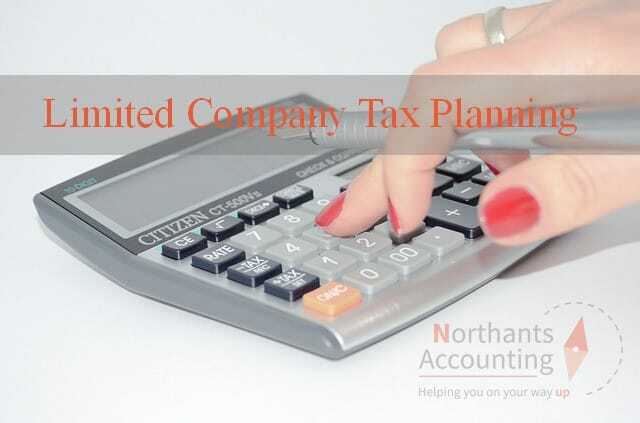 The additional control that being a limited company gives you means that you can use it to reduce the amount of higher rate tax you have to pay. If you would like to find out more about this please get in touch on 01604 330129 and we will be happy to arrange a free consultation.